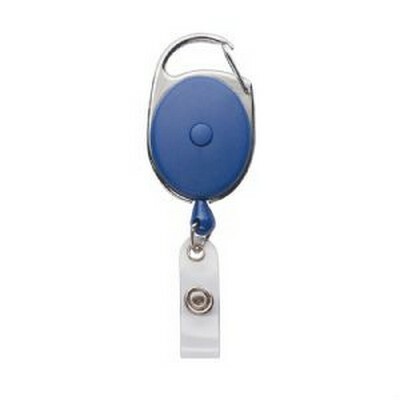 Description: In a metal casing with ABS plastic insert this badge holder has a 75cm retractable cord. Available in 3 colours. Features: When pulled out the cord remains extended until the button on the back is pressed for the cord to retract. Packaging: Polybag. Colour: Blue Material: metal + ABS plastic Product Size: 100mm(h) x 35mm(w). Freight details: 500 per carton, 11.5kgs, 24 x 20.5 x 46.5cms; Decoration Type(s): Colour Print / Full Colour Print / Print with Dome . Decoration Area: Pad - 20mm x 20mm. See drop down menu for decoration options.